Suffering a personal injury in a car accident can be a difficult time for anyone involved, regardless of your background. Automobile insurance is normally the source of payment for most of your accident-related expenses, like medical bills, property damage invoices, disability, lost wages, and pain and suffering. But, what if the person who was responsible didn’t have a good insurance policy – they were carrying the state’s minimum limit of required coverage? In North Carolina, this is only $30,000 that may be available to help you get back on your feet. What if your damages far exceed $30,000? What are you supposed to do with all of the bills left after the insurance is exhausted? 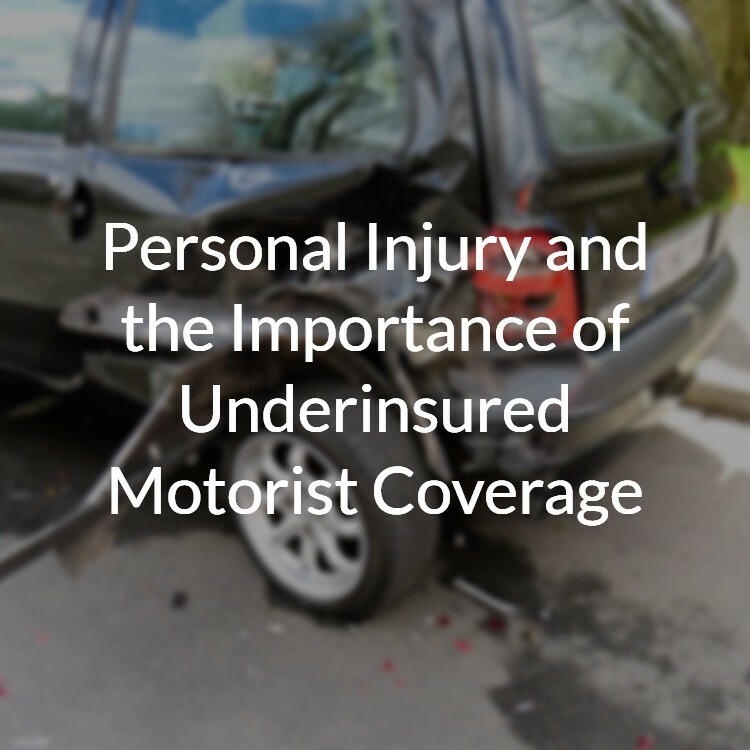 The answer: Underinsured Motorist Coverage. In order to be considered an underinsured injury, there has to be less than enough insurance coverage to fully compensate your injuries and damages (including pain and suffering). For example, if you have medical bills, lost wages, and other damages worth $100,000 and the Defendant only has $30,000 in bodily injury coverage, there is $70,000 in damages that are not being compensated by the Defendant’s policy. Here, your claim would be considered underinsured. In North Carolina, UIM policy coverage gets an offset in the amount of the Defendant’s bodily injury policy limits, so your UIM policy limits must be higher than the Defendant’s bodily injury policy limits for the UIM coverage to apply to your claim. For example, if you have UIM coverage in the amount of $100,000 and the Defendant has a $30,000 bodily injury policy, your insurance company is only required to pay up to $70,000 (100 – 30 = 70) in UIM benefits because the $30,000 is offset from the $100,000. Likewise, if you have $30,000 in UIM and the Defendant has $30,000 in bodily injury, there is no UIM coverage (30 – 30 = 0) after the offset is applied. You can’t always rely on the other driver to have adequate automobile insurance coverage limits. It’s important for every driver in North Carolina to protect themselves with a sufficient amount of UIM policy coverage to fully compensate a wide range of injuries and disabilities. UIM coverage is generally low in cost and the benefits are irreplaceable if you end up needing it. In fact, North Carolina law requires that your insurance company offer up to $1,000,000 in UIM coverage if you request it. This is true regardless of your bodily injury or property damage coverage. Why Not Just Rely on Major Medical and Not Worry About UIM? Major medical may pay for your medical bills, or at least most of your medical bills, but it will not pay for 1) pain and suffering; 2) lost wages; 3) temporary disability; 4) permanent disability; 5) lost earning capacity; 6) loss of consortium; 7) mental trauma; 8) vehicle rental costs; or 9) property damage. UIM coverage is meant to cover the full range of damages that may occur in a personal injury case. It’s well worth the investment. Contact one of StephensonLaw's experienced personal injury attorneys to schedule a free personal injury consultation.